Ready to make your summer a season of thrill rides? Then it’s time to get behind the wheel of the 2017 Maserati GranTourismo, for sale now at our Tampa dealership. Why the new GranTourismo? Here are three reasons it will make you summer more exciting — and every season after, for that matter. The 2017 Maserati GranTourismo is specifically designed to deliver one of the most exciting driving experiences on the road. From its powerful engines (including a 454 hp 4.7L V-8), to steering that the Car Connection calls “remarkable”, you’ll love your ride. If you’re looking for a ride that will get you noticed, this is it. With its refined Italian styling, the 2017 GranTourismo is both a beauty and a beast. With a gorgeously appointed cockpit featuring perfectly positioned seats and the latest tech, you’ll enjoy your ride in comfort. Ready to see how the 2017 GranTourismo leaves the competition in the dust? Visit our Tampa Maserati dealership today to test drive the 2017 GranTourismo. 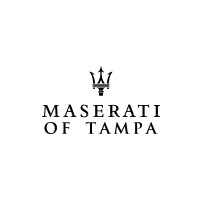 Check out our selection of the 2017 Maserati GranTourismo online, or call Maserati of Tampa at (813) 375-3660 today.